BEST DEAL IN MASTIC! 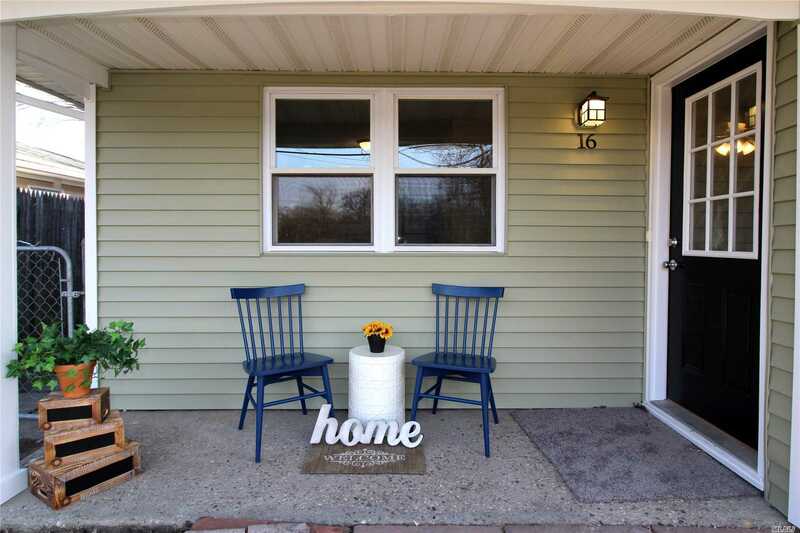 This Beautiful, Newly Renovated, Charming, 3 Bedroom Ranch Is Move In Ready!! Brand New Kitchen W/ Granite Counters, Ss Appliances, New Washer Dryer, All New Bath W/ Designer Tile, New Flooring, New Plush Carpet, Lighting, Laundry/mudroom, New Siding and windows And Fenced In Back Yard. New driveway being paved this week! Situated on a nice block and Wooded area across the street provides privacy! Close to shopping, beach, and more! Come see it, fall in love, and call it HOME!